In a large pot, heat the olive oil over medium high heat. Add garlic and stir until garlic starts to barely turn golden. Add pepper flakes, stirring in with the garlic, and then add the tomato paste and stir to combine everything together. 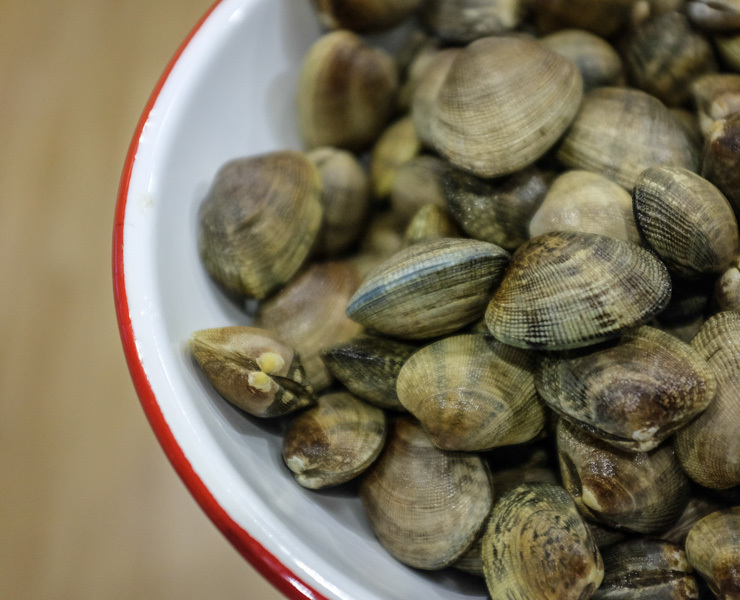 Add the wine and clam juice and bring to a boil. Cook at a low boil until the liquid is reduced by a third, about 10 minutes. 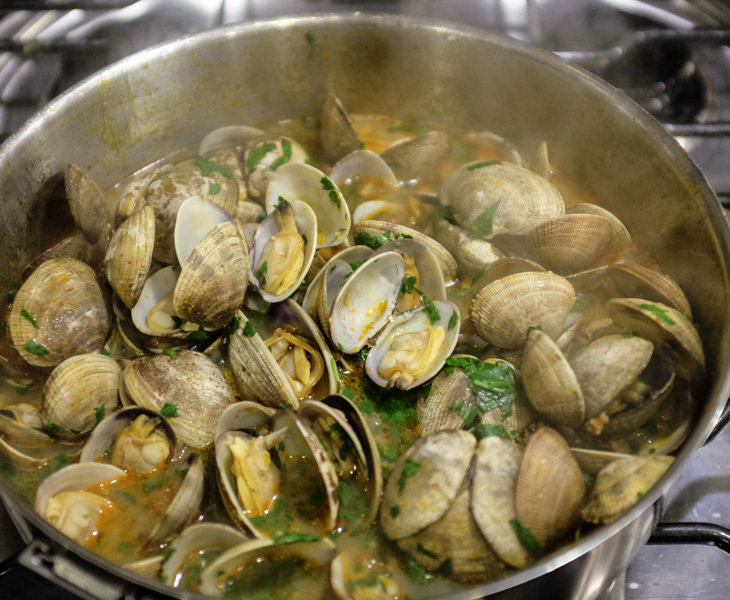 Add the clams and the chorizo, cover, and cook until clams open, about 3 to 5 minutes. Serve with crusty warm bread if you like…we didn't have any, but it would have been great with the broth.